Made of high quality lead-free brass, our designer kitchen faucet is a real standout – and a great opportunity for you to set yourself apart. 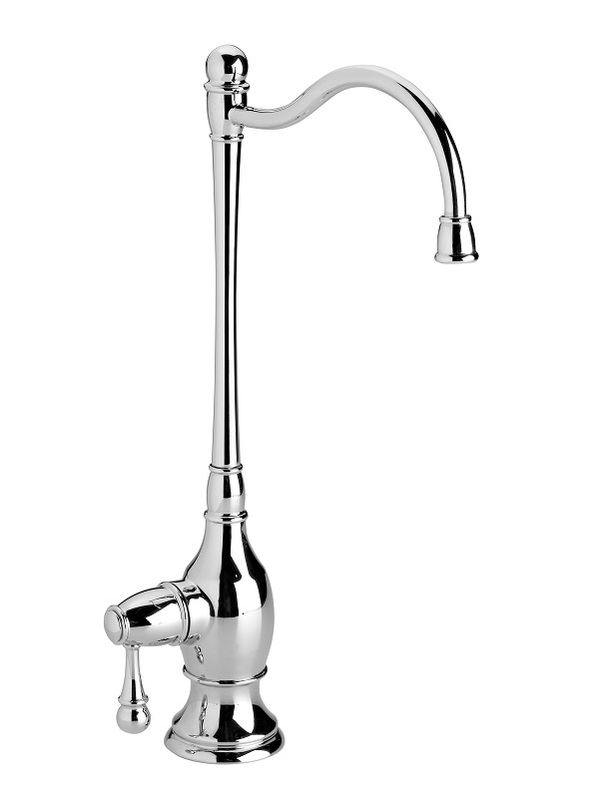 This reverse osmosis faucet features a smooth operating ceramic disk element, lever style handle, high reach neck design of 12”, protective spout tip to prevent after drip, and a patented modular air gap. The Designer Reverse Osmosis faucet retrofits most brands and is shipped complete with preinstalled tubing for quick connections. Choose from 8 designer finishes to compliment virtually any décor! All reverse osmosis faucets are NSF listed to ANSI NSF Std. 61 - 9 & 372. Two year warranty.